Be careful getting emails that trick you into downloading files to your computer. Unless your sure about what your downloading please do not run unknown files. 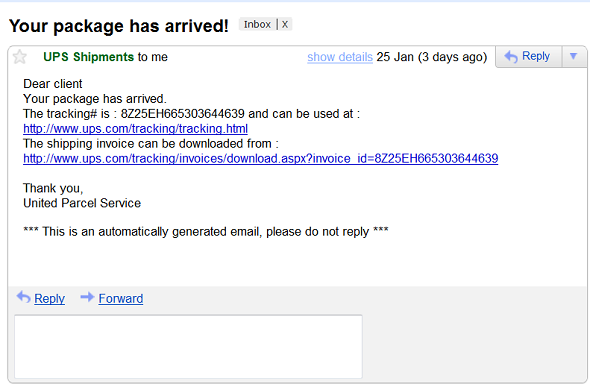 An example of a clever virus email see photo above. First link is to a real UPS website. Second link was a nasty virus. Microsoft is now providing free antivirus software. Below is a link to the free software.